No other process managed by Finance has as much potential to create or destroy business value as FP&A. If done poorly, FP&A is an exercise in minimizing expectations and commitment, which in turn minimizes actual results. Since that activity takes organizational time and resources, it returns a negative return on investment (ROI). 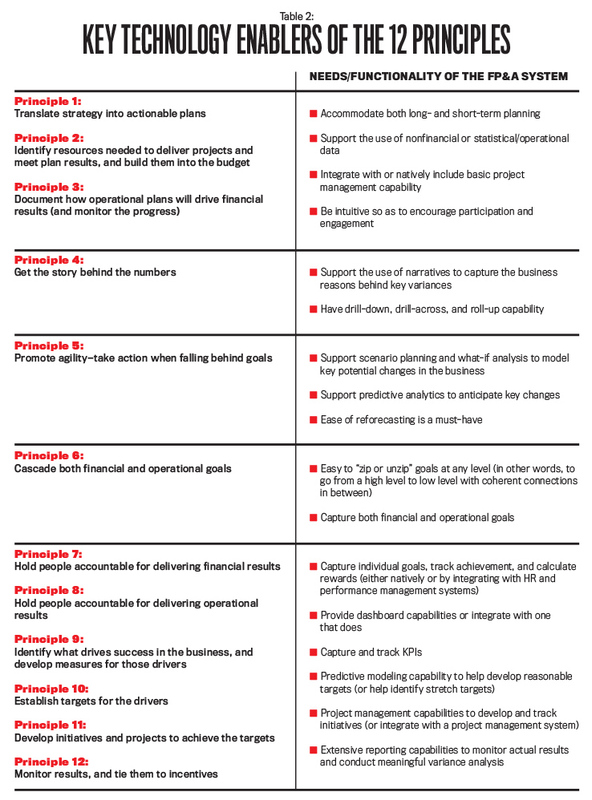 If done well, however, FP&A will drive business value (see Table 1). I don’t know a single CEO who wouldn’t readily commit some percent of revenue to increasing the chance that he or she can actually deliver the results promised to investors. 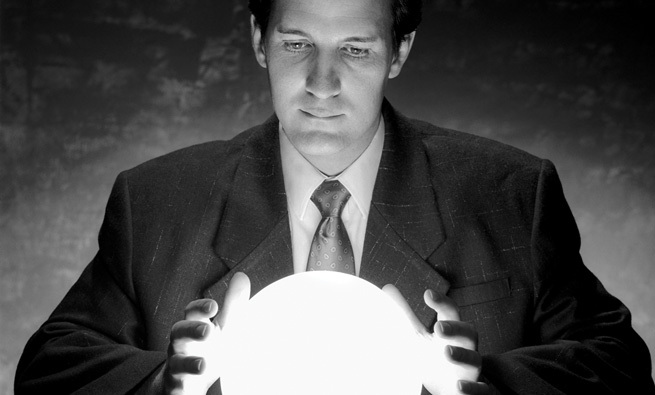 And ultimately that’s what FP&A is all about—not just predicting results but driving them. The challenge in many companies is that FP&A delivers little more than a budget that quickly grows stale. 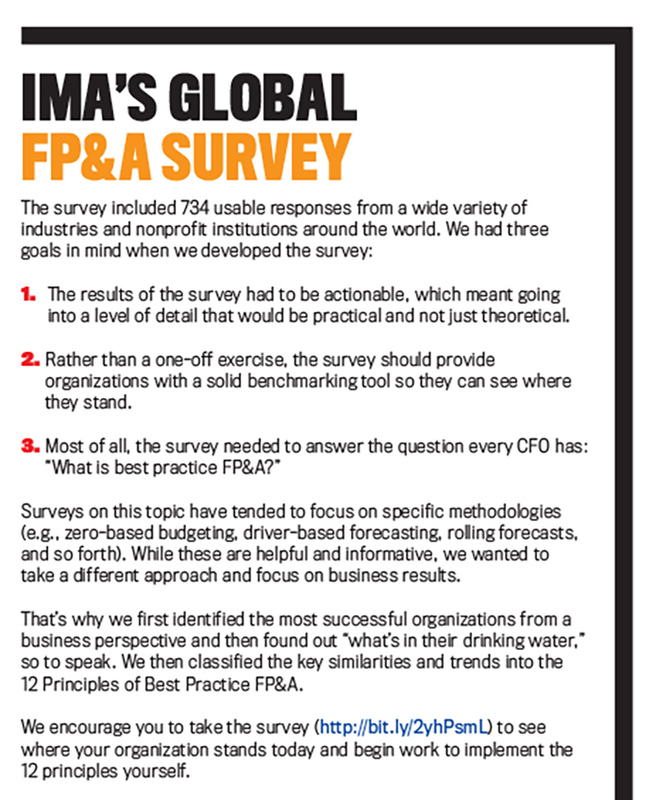 CFOs know that’s unacceptable, and that’s why the one question CFOs ask me more than any other is “What’s best practice in FP&A?” To discover that, IMA® (Institute of Management Accountants) and I surveyed more than 700 organizations regarding their FP&A practices (see “IMA’s Global FP&A Survey”). We first identified the best-run organizations—the high-achieving ones that consistently met or exceeded their own targets and consistently met or exceeded the results of their competitors—and then identified what they did differently with FP&A. What we found are 12 Principles of Best Practice FP&A supported by data, not just by popular beliefs. In describing these 12 concepts, the term “principle” was chosen very deliberately. A principle is a fundamental, primary, or general law or truth. It’s something that’s true regardless of circumstances. These principles are fundamental concepts that can be adapted and adopted for FP&A practices across any industry in organizations of any type or size. They are meant to provide a framework and guidance; how you apply them to the specific circumstances of your company or institution will vary depending on your starting point. 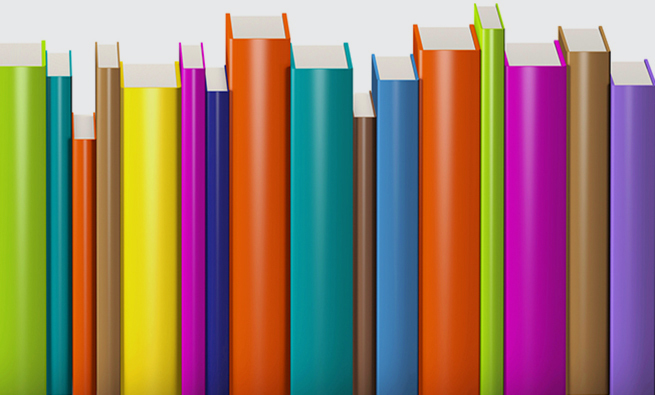 As we look at the principles, it’s important to remember how to evaluate an FP&A process. While elements like cycle times and number of resources required are important from a cost perspective, they don’t tell us why we’re doing FP&A to begin with—they don’t define the purpose. The true effectiveness of FP&A is assessed by its ability to drive business outcomes. By definition, therefore, any of the 12 Principles of Best Practice FP&A should increase the efficacy of the process, which means increasing a company’s capability to drive outcomes. That greatly increases the rigor around identifying best practice, moving it well beyond the rather low bar of conventional wisdom. It also is important to keep in mind the definition of FP&A. Some companies define FP&A too narrowly as “the budget process” or “forecasting” or “variance analysis.” If that’s the case, it’s no wonder there would be skepticism around how FP&A can drive results. 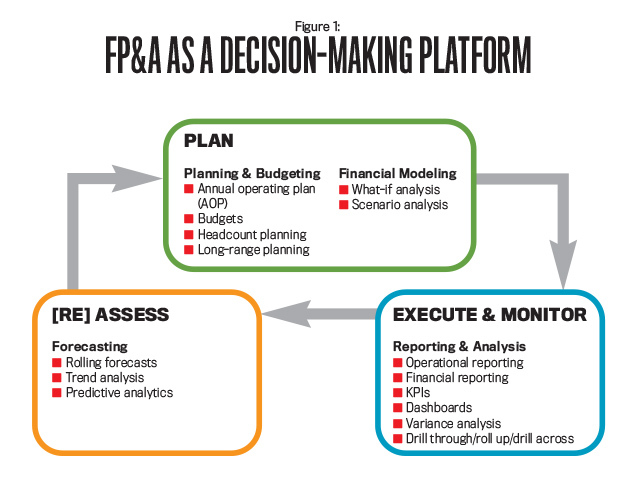 As Figure 1 shows, however, FP&A is really a decision-making platform. Principle 1: Establish a strategy, and then translate it into actionable plans. Principle 2: Identify resources needed to deliver projects and meet plan results, and then actually get those resources into the budget. Principle 3: Have a thorough understanding of how operational plans drive financial results, and monitor the progress of those plans. The best-performing organizations use FP&A to drive business outcomes, not just to budget spending or forecast sales and expenses. They do more than predict desirable results; they develop rigorous, well-conceived plans to manifest those results. One of the keys to that is linking operational and financial planning. To use a simple example, a best practice FP&A company will recognize the relationship between productivity and cost of goods sold (COGS). If the company establishes a target of increasing earnings by a specific dollar amount, it will assess the required productivity gain necessary to reduce COGS and increase profitability. While a simple example, this underscores that financial projections aren’t divorced from operational planning. In fact, it’s just the opposite: Financial projections are seen as worthless without an operational plan to achieve them. Plans without funding are mere wishes. That’s why best practice FP&A companies work hard to ensure that plans have the resources they need to be executed properly. To do this, these companies develop a set of cogent initiatives to achieve the plan. Going back to our example, best practice FP&A companies don’t stop at targeting a 5% improvement in productivity and baking that into the financial projections as an improvement to COGS and earnings. They realize that it simply won’t materialize without a real initiative to make it happen. They also realize initiatives take resources (money and time) and quantify what’s needed. Those resources then go into the plan/budget and become part of what senior management reviews and approves. While this sounds clear enough, it’s surprising how many companies either don’t do it or don’t do it well. One reason is that it takes time and discipline, and if the FP&A process is unpopular to begin with, people don’t want to spend more time on it. Another factor is that strategic initiatives are often discussed at off-site meetings where they are “approved” in a general sense, but the budgeting process (or annual planning process) is where the real allocation of resources happens. In other words, if the dollars don’t make it into the budget, nothing else matters. Principle 4: As a result of building plans based on tangible projects and understanding how they impact the financial results, perform more in-depth variance analysis and have the ability to get the story behind the numbers. Principle 5: Practice agility. Take action when falling behind on financial or operational goals. 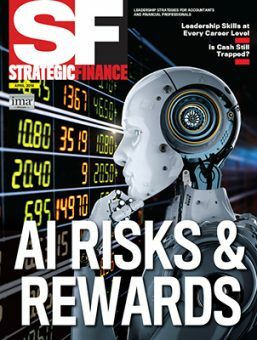 Everything covered so far points to one more key differentiator for best practice FP&A companies: Their variance analysis is much more robust. Many companies facing an earnings shortfall, for example, can go only an “inch deep” in analysis. They’ll note that COGS came in higher than expected, and they might even be able to isolate a couple of lines on the income statement for the variance. But executives (and investors) want to know why it happened—what happened in the business that drove the shortfall. The organizations with best practice FP&A can provide a business understanding for the variance. In our example, if the initiative to improve productivity by 5% were delayed, the benefits would be delayed as well. The reason for the delay—as well as what can be done to get back on schedule—would provide “the story behind the numbers.” Instead of being delayed, imagine that the project is on schedule but the company isn’t seeing the planned benefits. Digging into the reasons why will provide insight into the business. No matter the scenario, a far more robust and business-oriented variance can be conducted because there is a real plan of action with a concrete initiative to move the numbers in the right direction, with the lessons learned strengthening the understanding and management of the company. That leads to a point about agility, a term that has grown a lot in popularity. Don’t mistake agility for a frenetic response to one surprise after another. 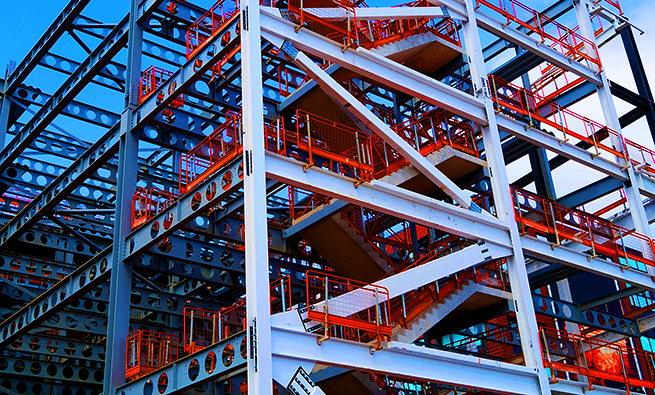 While surprises in business are inevitable, best practice FP&A companies suffer fewer of them. That’s because they are driving the outcomes they want rather than just predicting them. When surprises do come, best practice FP&A companies are better able to pinpoint the reasons why and what the business impact will be. More to the point, however, the best-run companies don’t just throw up their hands and use a surprise as an excuse for not hitting their numbers. They’re going to do something about it. That’s because they have the incentive to do so, which leads to the next principles. Principle 6: Critical to building a foundation for accountability, do a better job of cascading both financial and operational goals. Principle 7: Hold people accountable for delivering financial results. Principle 8: Hold people accountable for delivering operational results. Companies with best practice FP&A tie rewards to achievement. Rewards can come in the form of salary increases and bonuses, but they also can come in the form of promotions and advancement, title changes, and desirable assignments. The power of this isn’t just on the individual, but also those around the individual. People notice who is getting rewarded and for what. If the people hitting their ­challenging-to-achieve targets get rewarded, it sends a signal to others that commitments matter. 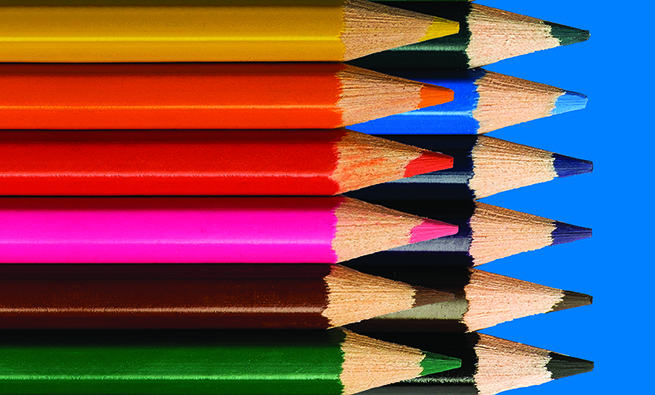 For best practice FP&A, the targets aren’t solely financial. There are operational targets (such as improvement in productivity) that are designed to improve financial results (such as earnings). The best practice FP&A organizations establish targets for both, clearly draw the lines between the two, and provide individual incentives to achieve them. Principle 9: Not only identify what drives success in the business, but also develop measures for those drivers. Principle 10: Establish long- and short-term targets for the drivers of business success. Principle 11: Develop initiatives and projects to achieve targets. Principle 12: Do a better job of monitoring results and tying them to incentives. Implementing the first eight principles is enough to transform FP&A from a purely budgeting or forecasting exercise to one that drives results. But the best-performing companies go a step further to tie it all together strategically. They codify what drives success in their business, create measures for those drivers, establish targets for those drivers, and implement initiatives to move the numbers in the right direction. The key here is first identifying what drives success in their business. For example, consider a technology company that identifies innovation as a driver of success. That’s great, but how do you measure “innovation”? In this case, the company says innovation is measured as “the percent of sales coming from products introduced in the past two years.” If the company is at 20% today, it might set a target of 30% within a strategic horizon of five years. It then breaks that down into yearly goals, develops a set of initiatives to get there, and funds projects in the next annual operating plan to achieve the first-year goals. It all stems from strategically identifying what drives success in the business—the value drivers. Most companies have a laundry list of key performance indicators (KPIs) but have never taken the time to take a step back and go through the exercise of defining what drives success in their business. If they did, they might relegate a lot of those KPIs to the back burner and focus their attention on what matters most. These working relationships are really key to being an effective FP&A manager. This also ties into the second biggest gap, which was “understanding the specific area/ department supported.” To be effective, an FP&A manager must earn the trust and respect of the area he or she supports. Investing time to really learn and understand the department or area being served is critical. For example, an FP&A manager supporting Logistics should know what a drop shipment entails, how cross-docking is used, what a racked warehouse is, and why and when a refer truck is used. In other words, in order to earn a seat at the table and become a sought-after business advisor, the manager needs to learn the language and what the day-to-day operations entail. In turn, he or she will become much more effective at supporting the internal clients during the annual operating plan by helping build business cases to support key initiatives and secure the resources needed to be effective. The manager also will be able to provide real insight into the business and find the story behind the numbers when variances occur. The question, as always, is how to build these competencies. One good place to begin is with the IMA Management Accounting Competency Framework, which spells out the different skills that are needed at each level of management. This provides a competency roadmap that can (and should) be tailored to your individual circumstances. Figure 2 also includes some specific “get started” suggestions to improve your individual competencies. On the technology side, the key to using technology as an enabler of best practice FP&A is defining FP&A as a decision-making platform. That implies that the technology needs to address the entire Plan-Do-Check-Act cycle. To put it in functional terms, the system needs to be able to do the full range of financial and operational reporting and analysis, planning and budgeting, and predictive analytics and forecasting. In addition, it should either integrate with project management tools (like Microsoft Project) or come with inherent project management capability. Why? In a best practice company, plans are driven by well-defined projects to move the numbers in the right direction. Table 2 provides a more detailed view of technology enablers to support the 12 Principles of Best Practice FP&A. What’s the first step to take in your journey to move toward best practice FP&A? Our suggestion is you first get a baseline by benchmarking your company or institution against the 700-plus organizations in the database. (Visit http://bit.ly/2yhPsmL to take the survey.) You’ll be able to identify key gaps in your company’s practices, which of course is the first step to closing them. Then look at the IMA Management Accounting Competency Framework, paying particular attention to the sections on Planning & Reporting and Decision Making. Last, conduct an IT assessment to evaluate how well your systems are serving as a decision-making platform rather than just a patchwork of tools. 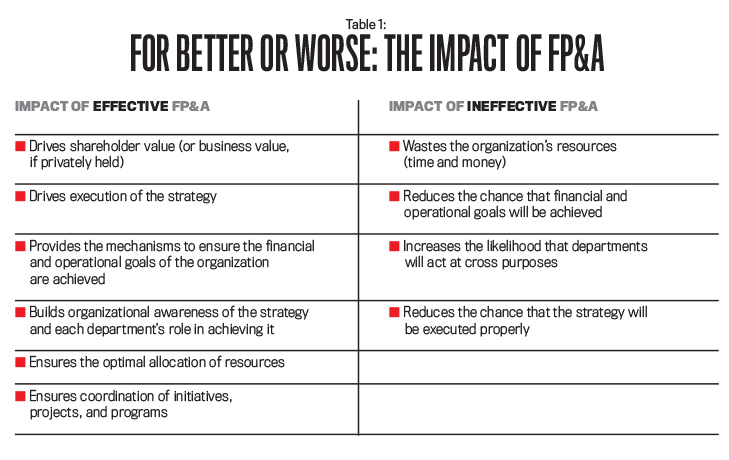 After reading this article, you may feel that your organization is far from best practice FP&A. You aren’t alone. The good news is that even small steps can make a big difference. Good luck on your personal journey to bring best practice FP&A to your organization. We’re here as a resource, so don’t hesitate to reach out. 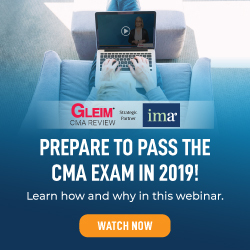 IMA members can view Lawrence Serven’s Inside Talk webinar on “12 Principles of Best Practice FP&A” at http://bit.ly/2zAajAU. Lawrence Serven is a globally recognized authority on enterprise performance management (EPM). He began his career as FP&A Manager at Pepsi Cola International and went on to found one of the fastest-growing EPM software companies in North America. 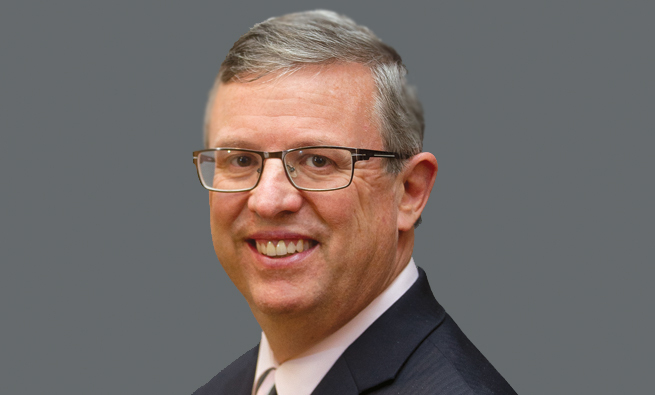 Lawrence is the author of Value Planning: The New Approach to Building Value Every Day (J. Wiley & Sons) and is coauthor of “Delivering Business Value: The Role of FP&A in Execution” (http://bit.ly/2z6d5O6). He can be reached at lserven@board.com or at (203) 977-3856.
what does it take to move from a reporting to FP&A level? Thank you for THIS EXCELLENT SUMMARY OF THE fp&a PROCESS. IT’S HELPFUL TO HAVE THE ENTIRE CYCLE SUMMARIZED IN A FEW PAGES. As an IT person in a technical role, I can say I’ve been the most-connected to an organization when I have access and contact with the people that run the business functions. I’ve been the most effective when I understand what they do, what their pain-points are and can assist them with that. It also makes for a very rewarding experience when you come up with ways to help them with their issues.